i played many FUT Drafts recently and thought about it that i never build any squads with Ronaldo So now I'll give him a go with SIF Bale and IF Modric. Now i want to finish the rest of the squad which is harder than i though. Already though about it, would give me some space to upgrade to IF's. Looks exact thing what i was thinking about. Thanks for your help guys, maybe gonna wait for some other options. So i built the team now with the options you gave me. Will this squad work well? Last time i played with the 4312 i had some problems but now i hope it will be a bit better since everything looks very well balanced and good workrates on the defence. So this will be eventually my final squad. Marchisio for Khedira. Trust me, Khedira will not work at ccm, he will always be attacking and Marchisio is able to do that while able to defend to. 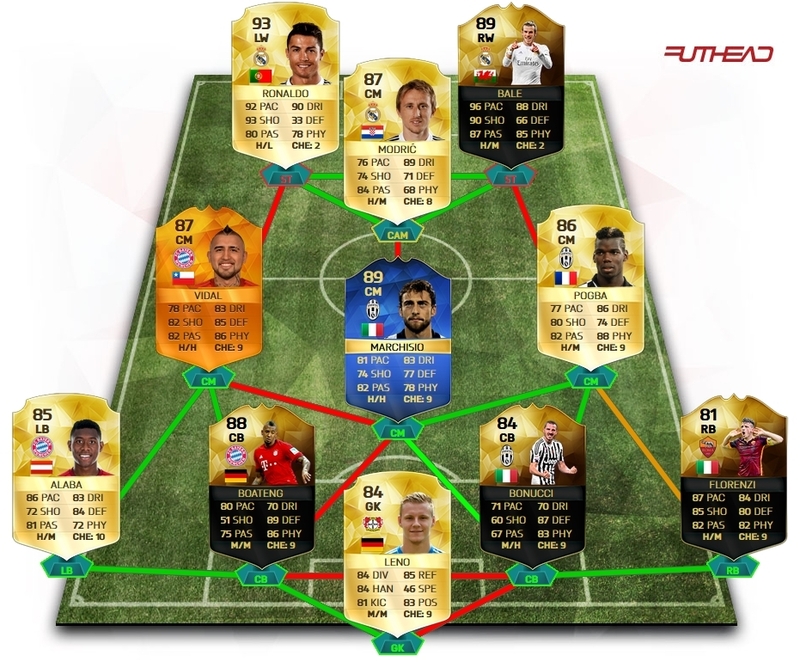 Chisio is one of the best players in the game for that spot. Ok then, can you show me your formation? Just unsure because i got no real CDM, only 3 box-to-box midfielder. 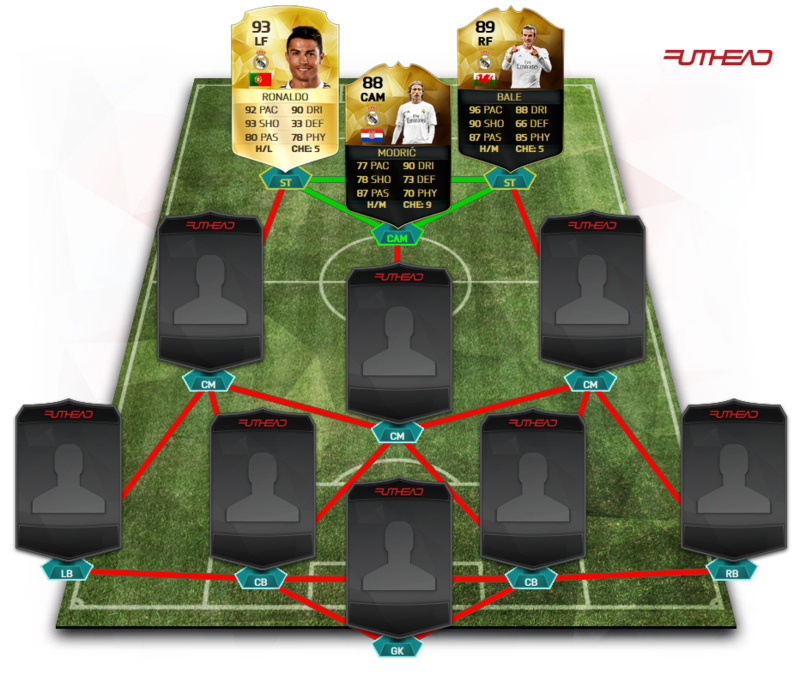 gr8 m8 Will try it out with his TOTS, if it doesn't work i will go with Khedira or Vidal. 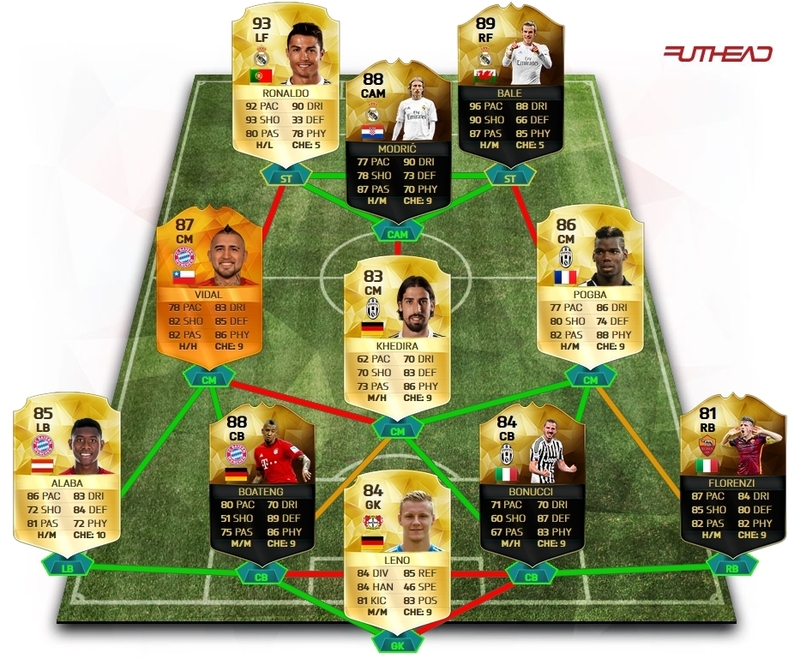 Guys, i need your help when buying these players. Ronaldo is at like 575k atm, don't know if he will drop when TOTS starts or not? Already lost too many coins on my players because i didn't want to sell them. Hmmm really depends on if this week is the official start of TOTS. Can't see him rising until BBVA TOTS which is near the end. This upcoming TOTS should be pretty stacked and if TOTS starts with it, I can see the crash beginning again.